As some of our readers have pointed out, a small but significant number of Canadian snowbirds come from the LGBTQ community, and while LGBTQ snowbirds share many of the same needs and concerns as all snowbirds, they also have some more specific needs and concerns that must be considered when choosing where to travel. Accordingly, we convened a panel of LGBTQ snowbirds to learn more about their needs, concerns and preferred destinations and share their destination tips below with other LGBTQ snowbirds. Of course, not all members of this community will necessarily limit themselves to gay-friendly destinations but our research shows that the majority will. Most gay men and women we interviewed during our research said that finding a like-minded community and feeling safe were very important in choosing a destination. 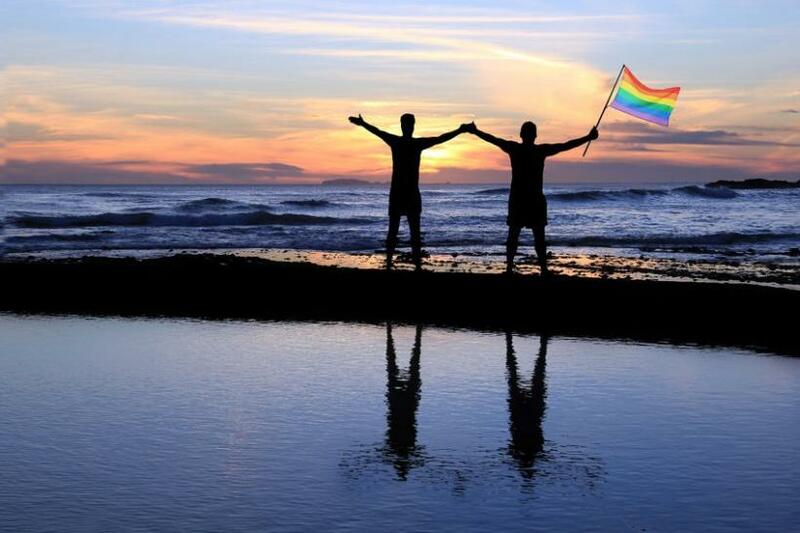 Overall, Florida has lots to offer the LGBTQ community seeking a relatively safe and supportive environment. There are a wide variety of accommodations to suit every budget, from quaint B&Bs to apartment and condo rentals to funky resorts with unique amenities - and the safe, friendly and accepting atmosphere all LGBTQ need. Ft. Lauderdale on Florida’s Atlantic coast has long been a beacon for gay men in particular. There is a thriving community here and the population grows each winter as more and more LGBTQ arrive. The Sebastian Beach area of Fort Lauderdale’s many fine beaches features a gay enclave of boutique hotels in vintage mid-century modern style and several well-equipped B&BS. The Royal Palm Hotel & Spa is an excellent resort within walking distance to the beach. It features amazing amenities in a private, fenced compound, which include spa services and a clothing optional pool. The Fort Lauderdale Beach area has numerous bars, restaurants and shops and there’s something to suit everyone’s budget. Adjacent to Fort Lauderdale is the city of Wilton Manors. This sprawling area is a mix of vintage 1950s bungalows, unique condo developments and new-build mansions. Located on the Intercoastal canals which are famous for the seasonal migration of Manatee, Wilton Manors has the second largest population of LGBTQ in the U.S. outside San Francisco. From leather to dance, country to piano bar, there’s a wide selection of gay/lesbian bars to suit everyone’s taste. The Sunday Gospel Revival Brunch is one of the most popular venues in town. Another popular enclave is the South Beach area of Miami Beach. This Art Deco lover’s paradise, with its architectural gems of the 1930’s glamour and style is home to the iconic mansion of Versace. There are parties and events held frequently for the LGBTQ community, “often at the trendy and always-packed Palace Bar, at the 12th Street Beach off famous Collins Drive” our panelist advises. Nearby Lincoln Road is a pedestrian mall lined with shops, restaurants, entertainment and countless art galleries and street performers. During the internationally-known annual Art Basel Fine Art Festival, international celebrities invade South Beach. Because of its creative and artsy vibe, SoBe is the place to see and be seen and remains one of the more LGBTQ-friendly areas of Florida. St. Petersburg on Florida’s Gulf coast has a considerable resident population of both gay men and gay women. There is definitely a sense of community with various events and celebrations for the LGBTQ crowd and this has made St. Pete’s a draw for LGBTQ snowbirds. Also in Florida, Tampa is another Gulf coast port city with a long history of gay-friendly and safe surroundings. The former Cuban cigar factory area known as Ybor City features the famous Hamburger Mary’s franchise. This iconic restaurant and bar is the quintessential arena for drag queen performers and their fans. It features daily shows of the top entertainers in the US and is home to one of RuPaul’s Drag Race, Season 3 finalist Alexis Mateo. Key West has a well-known reputation for its gay friendly atmosphere. It has long been a haven for artists, writers and gay-cation goers who seek the calm, relaxing pace of the Keys. It is home to established gay venues such as The Bourbon Street Pub and exotic accommodations like The Island House and The Equator are popular places to stay. Key West is expensive and not for those vacationing on a budget. Key West is also home to the “0 Mile Marker”, where the USA begins. One of the oldest havens for LGBTQ, Palm Springs has an established gay community as well as an annual winter influx of LGBTQ that is growing each year. Seasonal flights from Canada are available in the winter months. The laid back casual atmosphere is a backdrop to the many boutiques and specialty stores in the Uptown Arts and Antique District on North Palm Canyon Drive, catering to the many gay residents, who now number about 50% of the population. This is thought to be the highest per-capita gay population in the U.S.
Palm Springs has many events throughout the year including the International Film Festival, Cinema Diverse (the gay and lesbian film festival), the Nabisco Classic (formally the Dinah Shore Classic) and of course - the White Party. The city’s annual Gay Pride Festival is a huge event with live entertainment, food and dancing at the many gay bars on Arenas Street. Halloween is another big event in Palm Springs. On Thursday evenings, Palm Canyon Drive becomes a pedestrian zone with a weekly street festival. Honolulu is another mecca for LGBTQ in the winter months, but it is expensive, so not for everyone. Fabulous Waikiki Beach is a big draw, along with the many bars, restaurants and amenities that this big city has to offer. Once in Honolulu, it is easy to island hop and explore the Hawaiian Islands, as well as rent a car to explore the North Shore and coastline of Oahu. Monthly rentals in Honolulu are more costly than most destinations, so be prepared to downsize to a studio or bachelor condo. Flights are available from Vancouver and Calgary, with connections from other parts of Canada. This resort town has been a popular destination for gay men in particular for decades. Many choose to rent near the downtown area in condos or rental apartments. The cost of living is relatively inexpensive and there is a sizeable LGBTQ community here in the winter months. This port city is also home to visiting Atlantis Cruise lines, where boatloads of 3,000+ gay men disembark for a night of partying at local watering holes.